Pick the right toothbrush- Not all toothbrushes are made equal, and what works well for someone, may not work so well for someone else. Pick a toothbrush that is small enough to allow you to reach your back teeth, and one with soft bristles, so you don’t hurt your gums when you brush. 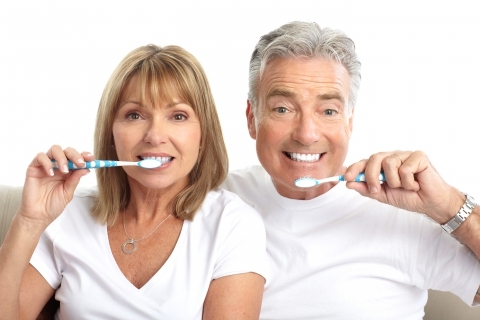 Don’t cut your brushing short- You should try to brush your teeth for at least two minutes, twice a day. The goal is to hit all four sections of your mouth for thirty seconds each. Some toothbrushes even come with timers to help you to remember to brush long enough! Be gentle when you brush- If you brush too often or too hard, you could do more damage to your gums and enamel than good. It doesn’t take a whole lot of force to rid your teeth of plaque, so be gentle! Cool it with the whitening toothpaste- Whitening toothpaste can be pretty harsh, so you should try not to use it all the time. Switch to a regular fluoride toothpaste for a while. If you want a whiter smile, you can always talk to our cosmetic dentist about our Free Whitening for Life program!